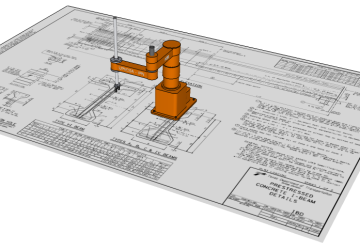 Engineering software can automate the design process and significantly reduce labor and help eliminate design errors. But, good software should go farther by integrating into design processes, and by providing a rich user interface that gives engineers confidence in their designs. Our experienced team of engineer-developers can help you achieve these goals by creating custom applications for your organization. Our expertise in user interface design can provide your engineers with design tools for the future. Also, our large libraries of open source and internally developed components allow us to develop applications much faster than if they were developed from scratch. Our experienced team knows how to develop software right. We start with existing high quality components. Open source components give you full access to all source code. We can help you leverage full use of Windows and Web platforms. Most members of our staff are registered Civil Engineers and have been involved with the development of bridge engineering software applications for over 25 years. We know how to develop quality applications that meet your needs. Our staff are experts in programming in C++, Visual Basic, and FORTRAN. We can combine these languages together to create applications more efficiently using existing, tested components. We have over 20 years of experience developing applications with modern, Windows-based graphical user interfaces. Our programs are much easier to use and more intuitive than old, Fortran-based input file/output file-based programs. Copyright 2006 to present, BridgeSight Inc. Proudly 100% Made in the USA.